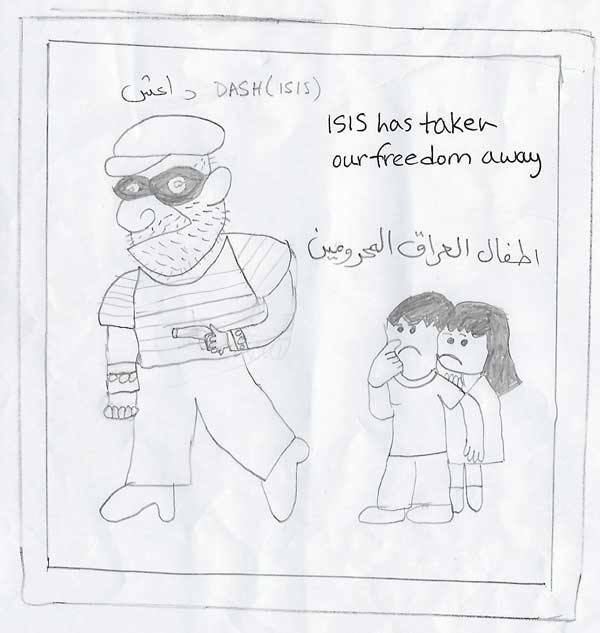 "Isis has taken our freedom has been taken away"
But always there is a hope." "Hello, I am Lilav and am 9 years old. I'm from Syria but now live in Kurdistan. I love you guys so much and I hope peace and success to all of you. 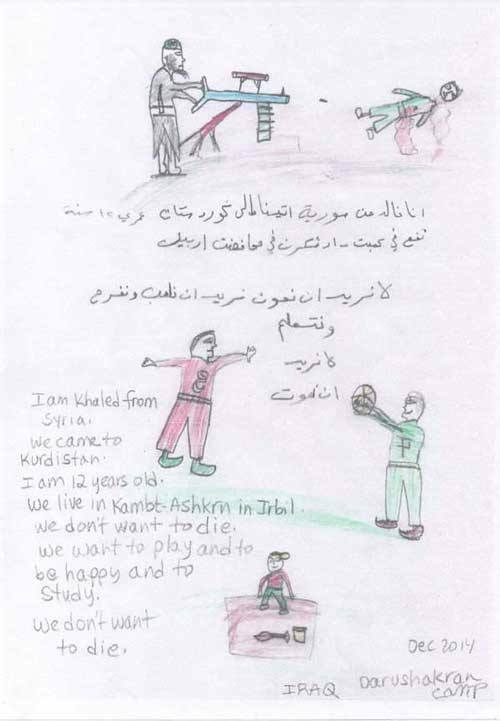 I love and I hope for all the kids to live with peace in their countries." 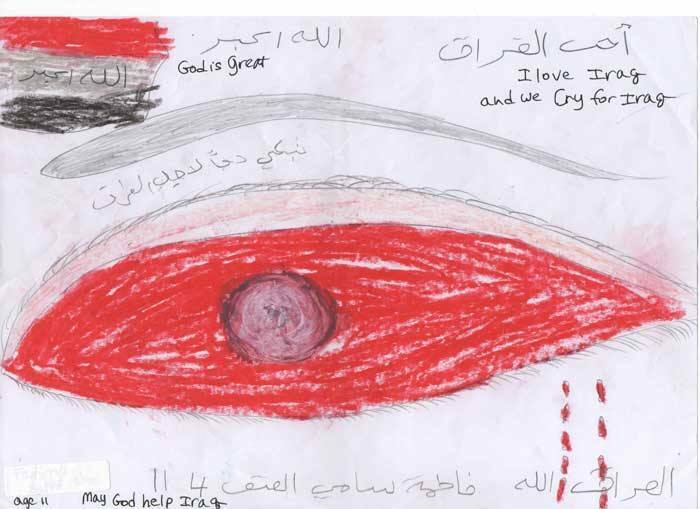 I love Iraq and we cry for Iraq. 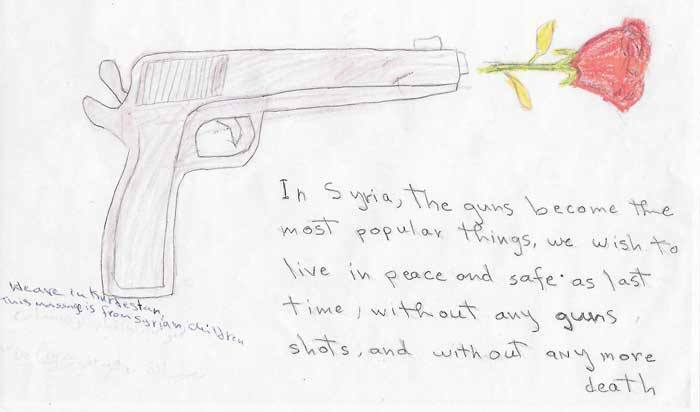 "In Syria, the guns become the most popular things. We wish to live in peace and safety as last time - without guns, gunshots, and without any more death. 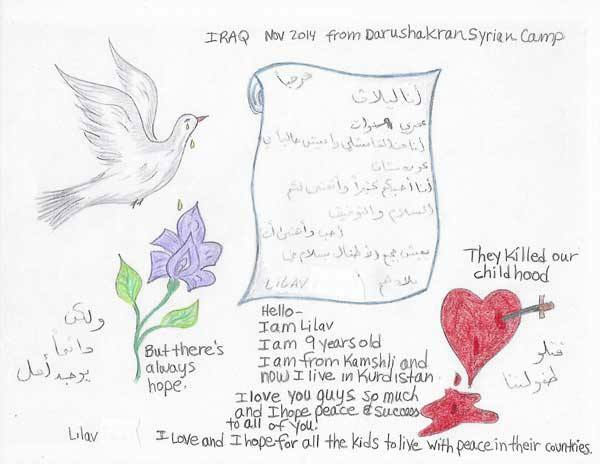 This message is from Syrian children. "I am Khaled. 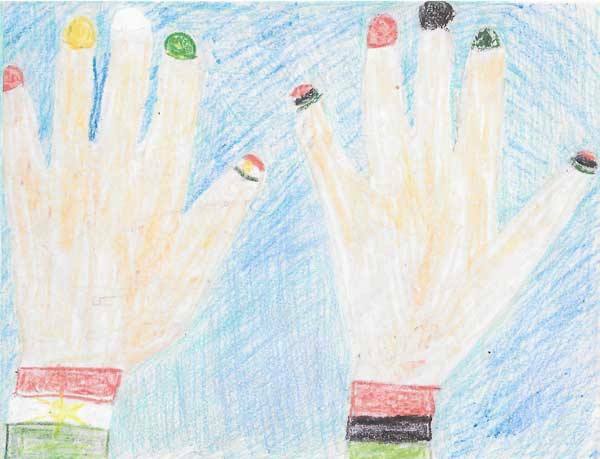 We came from Syria and are living in Kurdistan. I am 12 years old. We live in Kambt Ahkrn in Erbil. We want to play and be happy and study. 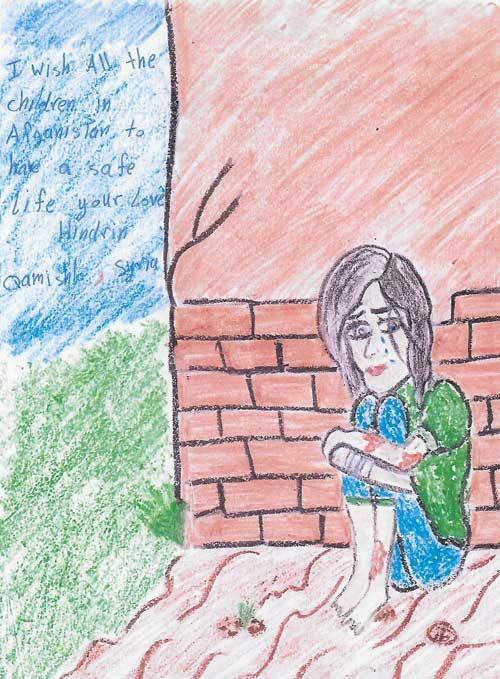 "I wish all the children in Afghanistan to have a safe life." 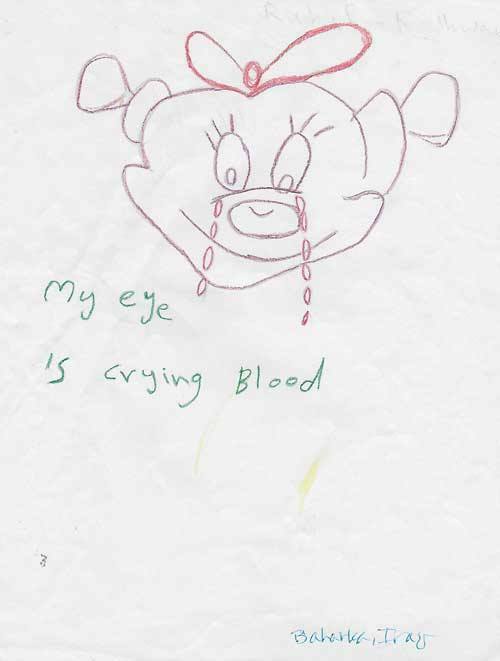 from Syria "My eye is crying blood"
"My name is Hanan. 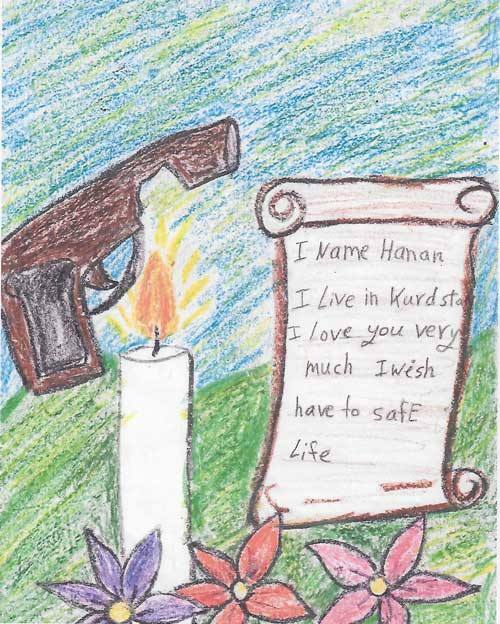 I live in Kurdistan. I love you very much and wish you have safe life."